Local airlines have lost about 50 per cent of flight operations due to poor visibility occasioned by the seasonal harmattan haze.Though air travel is usually at its peak during Yuletide, operators couldn’t optimise most of their recent investments as a result of flight delays and cancellations. In the last three weeks, delays and outright termination, combined with acute fuel shortage, have put pressure on road transport, pushing up fares by as much as 300 per cent. The year-round recovery effort of the operators appears set for another tumble, further lowering airlines’ chances of survival. 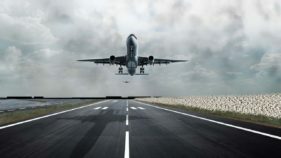 Besides the current hardship faced by the air travelling public, revenue accruing to regulators and government will also drop by at least 50 per cent.Experts meanwhile have stressed that the huge inconvenience and loss could be avoided, if airports in the country get adequate investment and upgrade of navigational equipment. The Guardian learnt that the loss to the airlines stands in excess of 50 per cent, given the volume of flights canceled in the last one week. At least, all the airlines cancelled more than 50 per cent of flight operations (about 100 per day). Air Peace is the leading airline with almost 40 per cent of traffic share. It increased its fleet size from 10 to 24 aircraft, to cope with demand at the festive time. Its eastern routes, like Benin, Uyo, Calabar, Owerri and Enugu, received flight increase from two to six per day. But in the period under review, most of the routes were not regularly accessed, as a result of poor visibility and risk to aircraft landing.The Spokesperson for the airline, Chris Iwarah, confirmed the cancellation of several flights on the Enugu, Calabar, Uyo, Benin, Akure and Port Harcourt routes.He said except for Lagos-Abuja and Abuja-Lagos, several other routes were not accessed. “Even Enugu that we increased to about six flights daily could not be travelled until Friday. 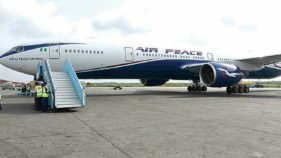 Owerri has been the saving grace for Air Peace, with flights unable to go to Enugu (due to weather and runway repairs),” he said. “The weather is not so clear in Owerri but it has been manageable in the last one week. The weather changes so easily in Port Harcourt and that is a problem for our operations too. There is very little the airline can do about bad weather but to keep appealing to our passengers to bear with us. 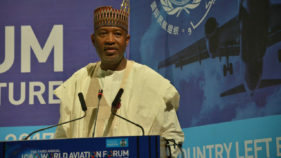 Attacking airline officials or disrupting other operations can never be the solution,” Iwarah added. Between the end of November and February, the harmattan, a dry and dusty wind, blows from the Sahara Desert over the West African sub-continent into the Gulf of Guinea.In some West African countries, like Nigeria, the heavy presence of dust in the atmosphere limits visibility severely, sometimes blocking the sun for days. Known as harmattan haze, it costs airlines millions of dollars in cancelled and diverted flights yearly. 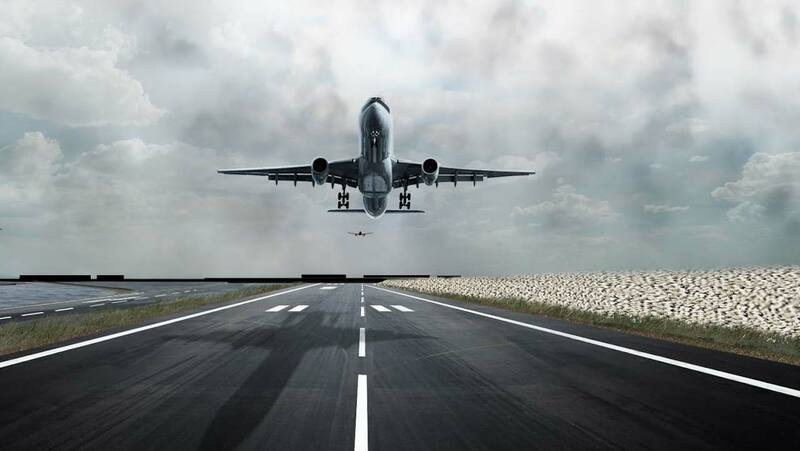 The Nigerian Civil Aviation Authority (NCAA) had issued a weather alert to all pilots and airline operators urging caution on the “inherent danger” associated with the haze.The General Manager, Public Affairs, at NCAA, Sam Adurogboye, said besides air-to-ground visibility reducing considerably due to the haze, aerodrome visibility could also fall below the prescribed minimum, with blurred runways, markings and airfield lightings, and visual navigation becoming extremely difficult or impossible. The apex regulatory body urged passengers to exercise restraint, saying: “Pilots are merely observing what is contained in the departure, en route and destination weather, which might sometimes necessitate outright cancellation.”A chief operating officer of one of the airlines said that for every cancelled flight, the company loses between N5 million and N12 million, depending on the size and type of the aircraft involved.He appealed to the authorities to upgrade the Instrument Landing Systems (ILSs) at airports to Category 2 ILS, like in Lagos and Abuja airports.